Nothing beats curly locks to project sophistication and class in social functions, date nights and even a regular weekday. Given the right tools, women are skilled artists that can whip up original styles and curls on their own. Now for the best and most intricate curls, a woman should never be without a Conair Infiniti Pro Curl Secret. 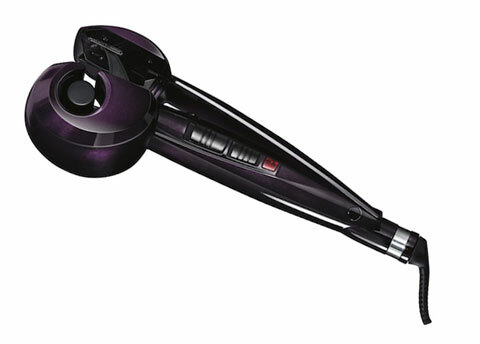 The Infiniti Pro by Conair Curl Secret is a fully mechanized hair curler that does everything for you. This device is as easy to use as a microwave oven. 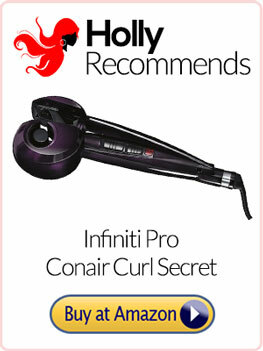 Click Here to Get the Infiniti Pro by Conair Curl Secret at an Unbeatable Low Price on Amazon! To have an organized curling procedure, section your hair in two parts; the top and the sides. Clip the top part first and start working on one side going around to reach the other side. The Conair Curl Secret is a big clamp with a motorized curler at one tip. The motorized curler can handle about an inch thick of hair strands at a time. What you have to do is set the heat settings. You have a choice of low and high. Then, you have to set the timer. There are three time settings for loose, medium and tight curls. The first thing that you want to do is make sure there are no tangles on your hair so, brush through your hair thoroughly before you begin curling. Your hair also needs to be dry. When this is done all you need to do is set your hair strands on the groove provided. Conair Secret Curl can only accommodate 3 centimeters worth of hair thickness per run so restrict yourself on working on small segments at a time. Set your first batch at any point where you want the curls to start. Normally, you’d want the curl to start at the roots so you set that part of the strands on the groove provided. Once you press the clamp together the mechanized curler in your Curl Secret Conair will start to spin and pull the entire length of your hair in all the way to the tips as they coil around the setting rod. The actual setting starts with the signal of a beep and ends with the signal of four successive beeps. As soon as you hear these four beeps, release the clamp and let your hair loose. Right there and then you will see a very intricate curl. All you need to do is work your way around and when that’s done, work on the hair your clipped on the top part of your head again, in batches of strands 3 centimeters thick. Curl Secret by Conair has safety feature that will prevent your hair from being tangled and damaged by the mechanized curler. If your hair has any tangled parts or, if you’ve set too much hair on the setting groove, the Conair Curl Secret Styling Iron will not start its curling motor. According to several Conair Curl Secret reviews, what customers like most about Infiniti Pro Conair Curl Secret is that it has made the curling process so simple with the its full automation. With the Conair Infiniti Pro Curl Secret Curling iron, you can expect amazing intricate curls with every use. It’s very consistent and very reliable. The controlled setting of heat an setting duration helps keep your curling safe. While the usual manual brush or iron curler may be manageable for those who have the skills and talent for homemade curls, Conair Curl Secret with its fixed settings are very convenient and safe for the ordinary woman who is just looking for the best curls possible. Because of the bulky curling chamber, Curl Secret Conair can create the impression that it will only work for long hair styles and can’t start the curls close to the roots. On the contrary, the ceramic chamber that does not emit heat can be set very close to the scalp to start the curling at the very roots of your hair making the Infiniti Pro Conair Curl Secret the perfect curler / styler for all hair length and texture. It is a lot lighter than its Babyliss counterpart thereby making the Conair Curl Secret Styling Iron more manageable and easier to wield. Conair Curl Secret is definitely not a hair dryer. While most air brush curlers can claim that they have the same function as a hair dryer, Conair Secret Curl cannot and will not make the same claims but, no other curling device can claim that can produce better and more intricate curls than the Infiniti Pro Conair Curl Secret. And, nobody can claim that their gadget is easier to use. One clear disadvantage is the size of Infiniti Pro by Conair Curl Secret. It is a bit bulky. And since it cannot function as a hairdryer, you will need a very big suitcase if you want to travel with a hair dryer and your Conair Curl Secret. The good news is that this very friendly and handy curling device can be safe to take along without its box. The whole curling machine is made of durable ceramic that will not break or scratch easily. As far as Conair Curl Secret reviews are concerned, the product and its features are very well appreciated and commended. The only thing that is being requested by customers is for the Conair Curl Secret to incorporate an option for several styles and direction of curls. For those who still chose to go for the simpler versions of the iron curler, the probable reason would be because of price considerations. Of course, the added features and conveniences will add on to the cost. Women who still go for the manual curlers may be good at it and may be having fun with the challenge. If they style and curl their hair every day and don’t get tired of doing it manually then this isn’t for them. For women who wouldn’t mind paying a little more for a Conair Infiniti Pro Curl Secret Curling iron that can offer them convenience and great style day in and day out, that investment will be rewarded. In the end it’s matter of asking yourself these two questions. (1) Are you looking for a low cost curler? Or, (2) do you want the best curls every day? 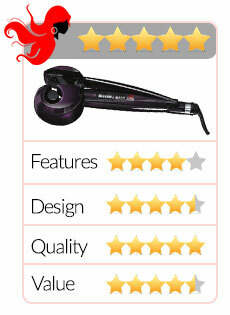 If you won’t settle for anything less than perfection, get the Infiniti Pro by Conair Curl Secret. 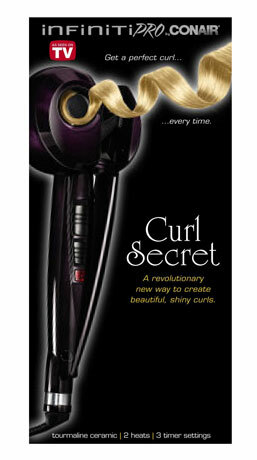 Click Here for Big Savings on the Conair Curl Secret at Amazon!